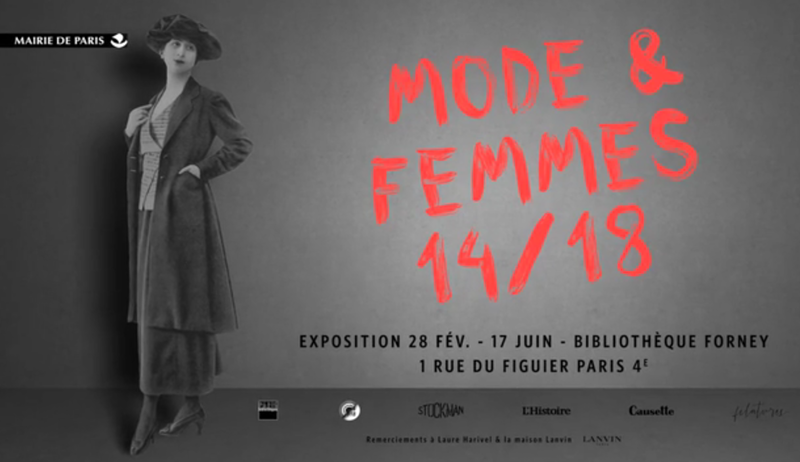 If you are interested in fashion and in clothing, I would recommend the exhibition entitled Mode&Femmes 14-18, at bibliothèque Forney, located in the gorgeous mansion Hotel de Sens. The installation is about the history of fashion and women in the French society, during the First World War, at the beginning of the 20th century. 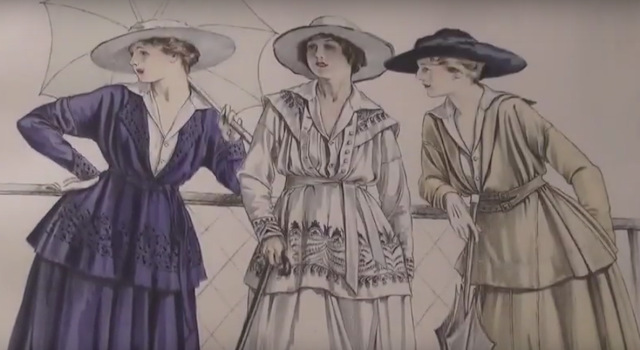 Not much has been said about fashion between 1914 and 1918. Most of the time, exhibitions are about fashion before or/and after the war, just as if creation had stopped during this difficult period. 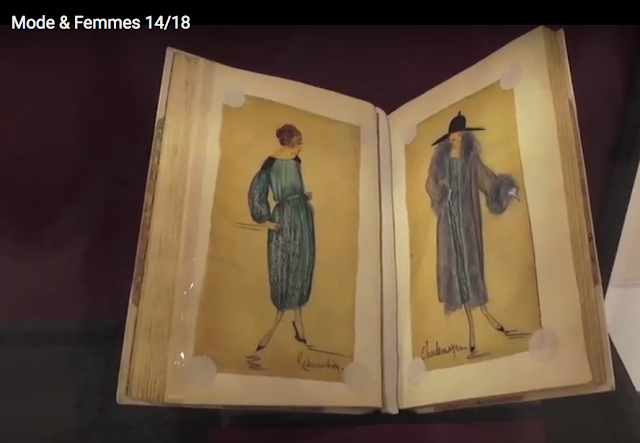 The exhibition shows how and why female cloakroom changed radically between 1914 and 1918. 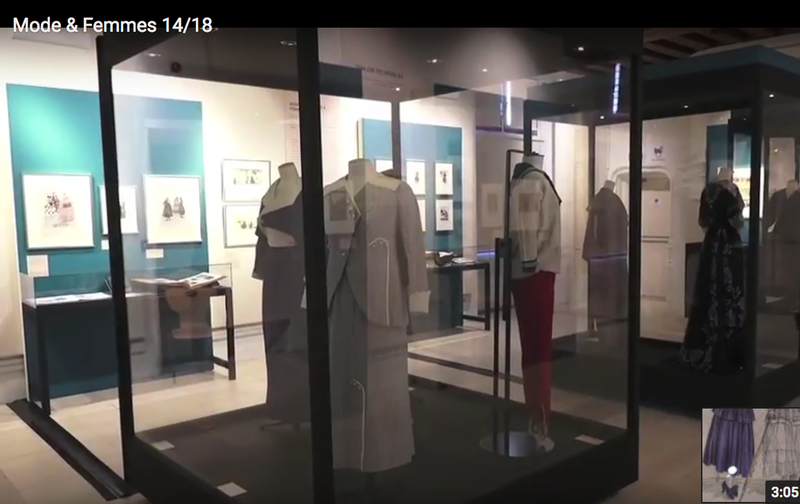 We learn how female garments evolved to more convinience and simplicity as far as the shape of the piece of clothing is concerned (pockets were added...) but also the materials and the colours. Due to the war there was a shortage of materials, dye... and designers of the time had to manage with what was available. 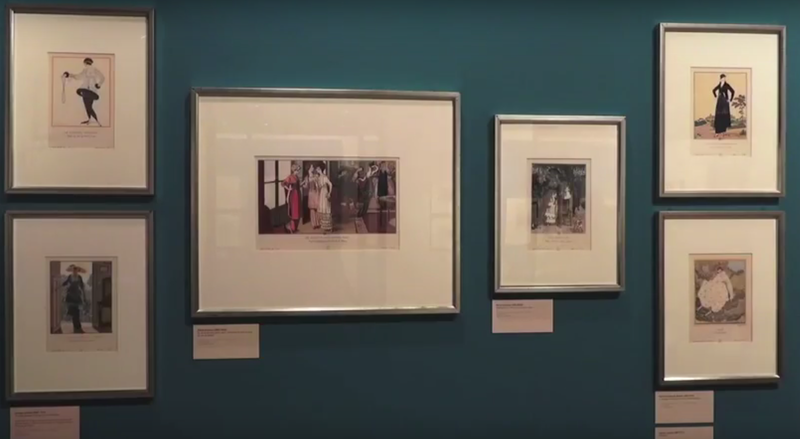 A large part of the installation is devoted to the role of women during the Great War. It shows how women took on men's jobs and how they played a key role while men were at war. 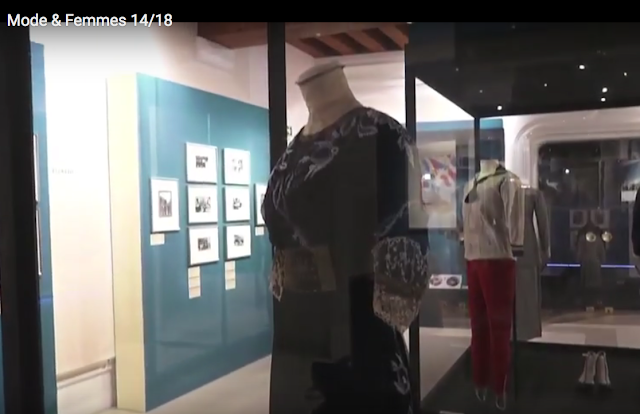 The exhibition is very interesting. It addresses many different aspects of the role and condition of women during that difficult period. Nb: pictures were not allowed, so I picked up screen shots from a vido prensenting the event.